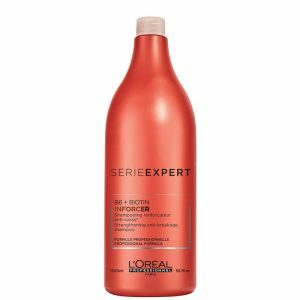 L’Oréal Professionnel Série Expert Inforcer Conditioner (100ml) is specially formulated for weak, thin damaged hair in need of some TLC. Using an advanced blend of Biotin & Vitamin B6, this conditioner restores manageability and replenishes each hair follicle from within. The result? More resilient hair, visibly reduced split ends and minimised breakage as well as mirror like shine. Restore life back into weak, fragile hair with the L’Oreal Professionnel Serie Expert Inforcer Conditioner. 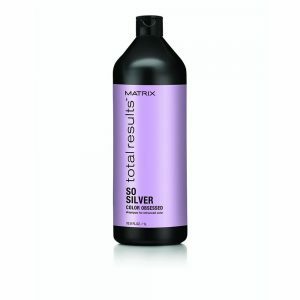 Specifically developed for thin, damaged hair in need of TLC. The conditioner helps improve manageability and replenish each follicle from within. 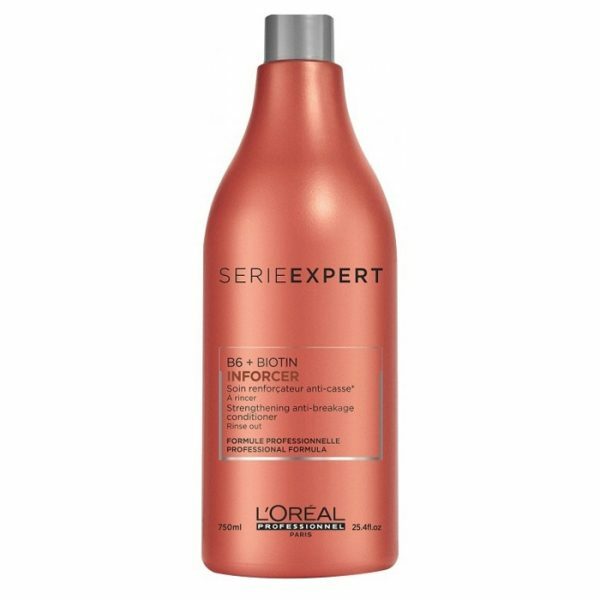 Containing a strengthening blend of Biotin and Vitamin B. As a result, hair is left feeling more resilient and revitalised. 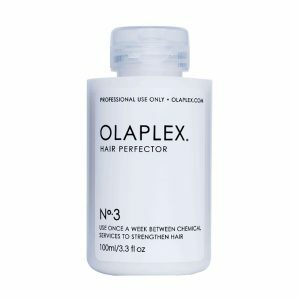 Visibly reduced split ends and minimised breakage as well as mirror-like shine. 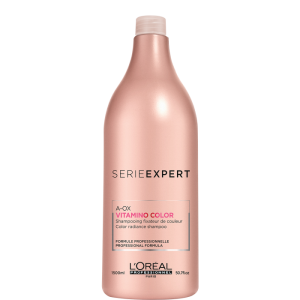 Use it with L’Oreal Professionnel Serie Expert Inforcer Shampoo.